"For the first time in a decade, Willy Wonka, the reclusive and eccentric chocolate maker, is opening his doors to the public--well, five members of the public, actually. The lucky five who find a Golden Ticket in their Wonka bars will receive a private tour of the factory, given by Mr Wonka himself. For young Charlie Bucket, this a dream come true. So when he finds a dollar bill in the street, he can't help but buy two Wonka's Whipple-Scrumptious Fudgemallow Delights--even though his impoverished family could certainly use the extra dollar for food. But as Charlie unwraps the second chocolate bar, he sees the glimmer of gold just under the wrapper. The very next day, Charlie, along with his unworthy fellow winners Mike Teavee, Veruca Salt, Violet Beauregarde and Augustus Gloop, steps through the factory gates to discover whether or not the rumours surrounding the Chocolate Factory and its mysterious owner are true. What they find is that the gossip can't compare to the extraordinary truth, and for Charlie, life will never be the same again. Charlie and the Chocolate Factory: another unforgettable masterpiece from the legendary Roald Dahl, never fails to delight, thrill and utterly captivate." This has got to be the ultimate Roald Dahl book ever, and the most spell-binding of them all. This is the first Roald Dahl book I remember reading and I did a review of sorts a few months ago when I was moving and I found my battered copy of the book. I dug it out and had a good read for Roald Dahl day to give it a proper review. The thing about this book, and indeed all of Roald's work, is that it's timeless. I enjoy it just as much now, at the age of 18, as I did when I was 7, 8, 9. Every time, you just get sucked in and cannot stop reading. You know everything that's going to happen but it still makes you laugh, gasp and whoop when Augustus falls into the chocolate river, when Verruca is attacked by the squirrels (a personal favourite of mine) and Violet turns... well... Violent. This book is iconic and just simply brilliant. Charlie and the Chocolate Factory was published in 1964. That's nearly 46 years ago! It's amazing to think just how many people have read and loved this book, and passed it down to their children. I was talking to my mum about the book earlier, as it was one of her favourites when she was growing up. It's just brilliant to think that the ideas and creativity of one amazing man has entertained generation after generation, and to think that millions more people are going to read this book and enjoy it. 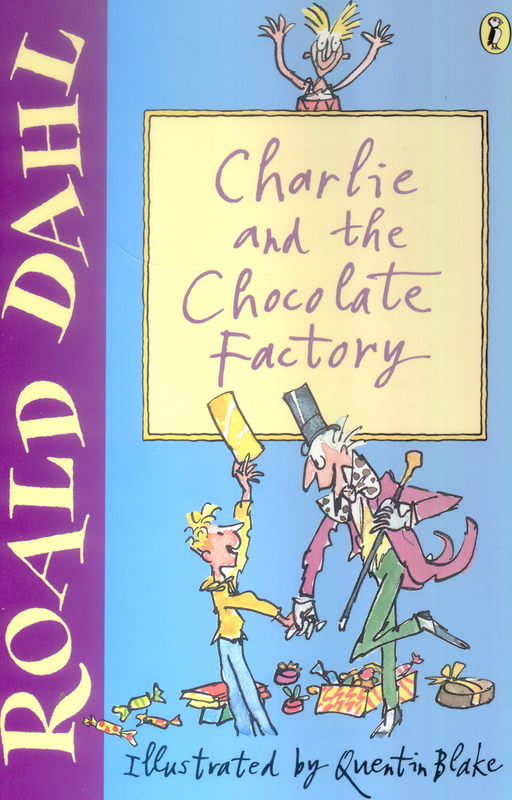 I just know that I will continue to love this book, the characters, the Chocolate Factory itself, the Oompa-Loompas. Everything. If you have yet to read it, you don't know what you're missing.